Food and water are the most common sources of parasite transmission. Since most of us eat three times a day and drink water frequently throughout the day, our exposure to these sources is constant. Tap water has been found to be contaminated with parasitic organisms. Both plant and animal foods carry parasites, and cleaning and cooking methods often do not destroy them before ingestion. The CDC (Center for Disease Control) cites food as the catalyst behind 80 percent of the pathogenic outbreaks in the U.S. Most are linked to restaurants and delis where less than sanitary conditions exist — from food preparation and storage to the utensils and servers‘ hands. They provide comfort, companionship, protection, amusement, and unconditional love for their owners. Yet, pets, like humans, are often victims of serious infections that can unintentionally be passed on to their owners. In fact, there is a whole set of diseases classified as ‚zoonoses‘ (animal-transmitted diseases) in parasitology textbooks. Animals are major carriers of parasites, and most physicians, let alone the general public, are unaware of this fact. Experts have projected that of the 110 million pet dogs and cats in this country, over half may be infected with at least one or more different kinds of parasites. Considering these numbers, the potential for transmission of parasitic infection from animals to humans is extremely high. 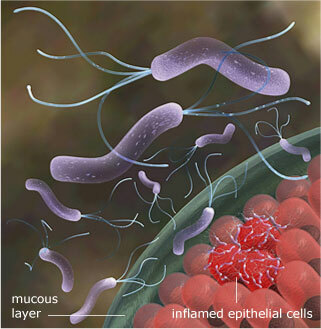 Making up approximately 70 percent of all parasites, protozoa are invisible to the naked eye. 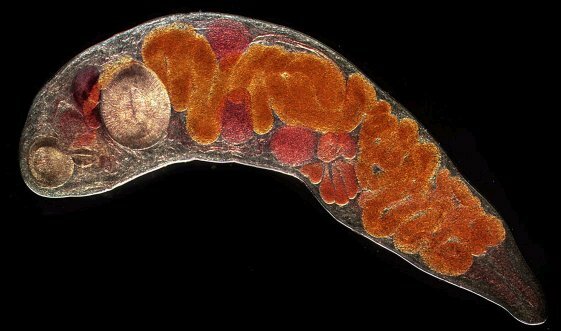 They are one-celled microscopic organisms, but don’t let their size fool you. Certain protoans, through their intensely rapid reproductive ability, can take over the intestinal tract of their host; and from there go on to other organs and tissues. Some feed on red blood cells. Some protozoa produce cysts – closed sacs in which they may be safely transported through food and water from one person to another. In the cyst state, protozoans are safe from destruction by human digestive juices. These one-celled ‚vampires‘ can actually destroy the tissues of their hosts. According to experts, an estimated 7 million people across the U.S. have some form of protozoa living inside of them. Common protozoa include: Endolimax nana, Giardia lamblia, Entamoeba histolytica, Cryptosporidum parvum, Blastocystis hominis, Trichomonas vaginalis, Toxoplasma gondii, Cyclospora cayetanensis, Cryptosporidium muris, Pneumocystis carinii, Plasmodium malariae, Plasmodium ovale, Plasmodium vivax, Plasmodium falciparum, Leishmania donovani, Leishmania tropica, and Leishmania braziliensis. While the protozoans are only single-celled, nematode creatures are multi cellular. The adult worms multiply by producing eggs called ova or larvae. The eggs usually become infectious in soil or in an intermediate host before humans are infected. It is interesting to note that unless the worm infection is heavy, many individuals do not show signs of disease. While it may be unpleasant to consider, it is true that the human host can coexist quite comfortably with a few worms, unless they reproduce in great numbers and create organ obstruction. 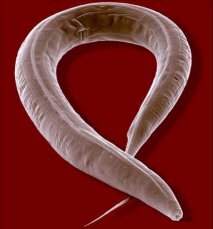 Experts claim that ’some type of worm is already in the intestines of over 75 percent of the world’s population‘. This is a frightening statement. 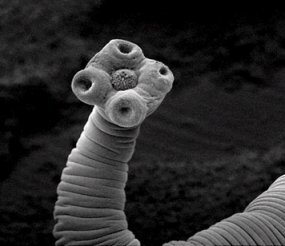 Common nematode include: Roundworm (Ascaris lumbricoides), Hookworm (Necator Americanus, Ancylostoma duodenal), Pinworm (Enterobius vermicularis), Roundworm (Toxocara canis, Toxocara cati), Heart worm (Dirofilaria immitis), Strongyloides (Stronglyoides stercoralis), Trichinella (Trichinella spiralis), Filaria (Wuchereria bancrofti, Brugia malayi, Onchocerca volvulus, Loa loa, Mansonella streptocerca, Mansonella perstans, Mansonella ozzardi), and Anisakine larvae. The most effective way to rid parasites is through a Dr Clark Digital Frequency Zapper, (Zapper Digital), Tuned to the specific frequency of the parasite (included in CAFL frequency book). 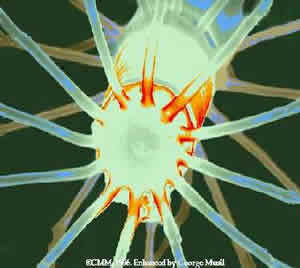 Read Dr Hulda Clark „A cure for all diseases“ where the various frequencies of parasites is explained, and how Dr Hulda Clark tuned her first prototype Digital Zapper to specific frequencies and destroyed them within the body. Always use Zapper Digital MHz before and after a herbal parasite cleanse for effective elimination of parasites from the liver. Use the „Parasites – Flukes“ setting on the Zapper Digital: See Frequencies Page on the menu bar. Zapper Digital can eliminate all Parasites, Worms and Fungus. In Fact the 3000 parasites are generally Sub-Species of about 10 main parasite types which include Amoeba, Ascaris, Cryptosporidium, Giardia, Paramecium, Cestoda, Protozoa, Trematode and Nematode.